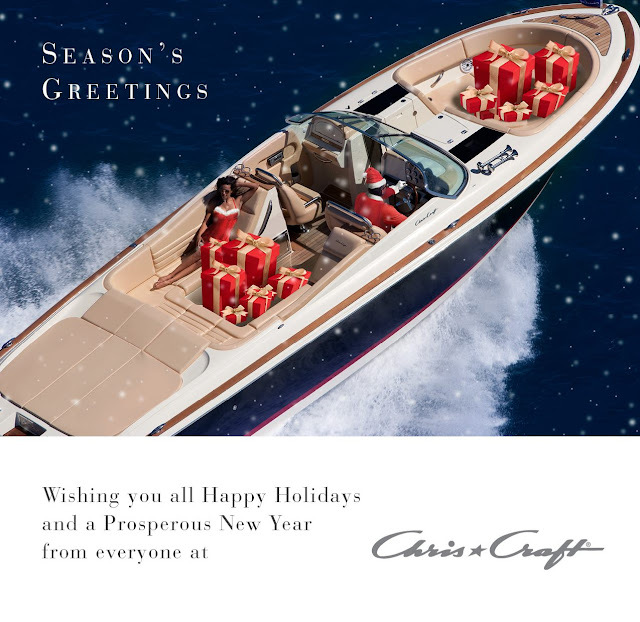 Boat Life Style-Premier Marine: Tis The Season To Go Boating!! Tis The Season To Go Boating!! Christmas is such a special time of the year and one that makes us remindful of what's really important. It's a time to forget about work stresses and re-connect with your friends and family and take the time out to reflect on your year. Christmas shouldn't be just about over-indulgence, but it's a time to let the people who are important to you, know that you love and appreciate them. It's a time to give thanks in any every respect. As someone who is absolutely passionate about boats, I think the festive season is a wonderful time for those who have a boat to get out and share this thrilling adventure with friends and family. This is a great way to build ever lasting memories. 'The family that boats together, stays together' is one of my favourite sayings and I couldn't agree more as 'boat-bonding' is one experience where you see three generations within a family come together and everyone actually enjoys themselves. I didn't grow up around boats, in fact, the term 'boat' didn't exist in my vocabulary other than an annual ferry trip from Circular Quay to Manly, for fish and chips on the boardwalk. I saw it as an adventure and one that remained fond to me from my childhood. It's no surprise then, that when I did get to experience boating, it would become life-changing and one that I would yearn to do daily. I would say to anyone out there who is toying with the idea of getting into boating, you must take a leap of faith and just do it as you'll never look back. I've learnt first hand the importance of buying a good boat, however, as this will determine whether it's the best thing you ever do or an expensive and regrettable purchase. Buying a boat really is an investment in your lifestyle. It's quite a selfless act to take, considering you can share it with your friends and family. It gives you the power to quite literally enhance people's worlds. This is a beautiful thing to reflect on at this time of year and if it was up to me, I would ban the exchanging of presents that no one really wants in lieu of buying a boat! Of course, buying a cheap and/or second hand boat can often mean inheriting someone else's problems and more likely than not, you'll end up spending the same amount of money if you'd purchased a new, quality built boat with full warranty and support. So, do your homework and investigate all the options, but there's no time like the present to be considering your dream boat for you and your loved ones to bring in the festive season in only the most exciting way possible. Wishing you all a very safe and memorable Christmas and New Year! !